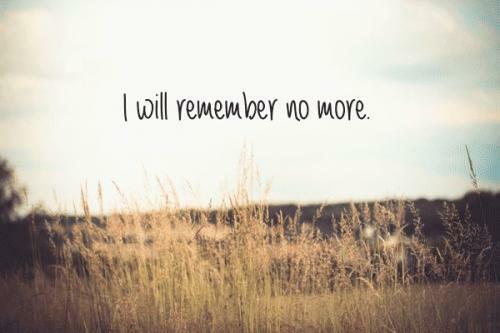 “And their sins and iniquities I will remember no more.” (Hebrews 10:17). We know that God forgives the sins of His people, but does He forget them? The writer under the inspiration of the Holy Spirit wrote that He “will not remember” the sins committed against Him by His children (Isaiah 43:25). Believers have always found a great deal of comfort in this thought. But then God commands us to likewise forgive others “forgiving one another, even as God hath forgiven you in Christ.” (Ephesians 4:32). That means that we should forgive each other the same as God forgave us, and part of God forgiving us is He does not remember our sins anymore. Perhaps you are thinking, “But Deacon, you don’t know what they did to me!” True, but was it more than what was done to God when men, crucified His Son? Remember, God’s vow to forgive and forget the sins of His people includes even the brutal murder of His only begotten Son. We are tempted to think, “Well, it’s easy for God to forget,”. God says of the sins of unbelieving Israel in the prophet Amos's day, that He “I will NEVER forget ALL their works.” (Amos 8:7). How then can this God of “total recall” forget our sins? Does His memory have a convenient “on/off ” switch that makes it easy for Him to forgive and forget? If so, then we who do not have such a switch would have an excuse for forgiving but not forgetting. God does not have a “total recall” The fact that Jesus forever bears the scars of the Cross in His resurrected body is a constant reminder of His sacrifice for our sins. (Revelation 5:6 joins John 20:27) They are a visible and constant reminder. What then is the answer to our question? Can God forget our sins? Did you notice that we never read that God will forget the sins of His people, but rather that He “will not remember” them? By a deliberate act of His “will” He chooses to act toward us AS IF He has forgotten our sins, on the basis of Christ sacrifice, “for the sake of Christ”. That’s how fully and completely He has forgiven our sins. And if we are to forgive others “as” God forgave us, then we too must choose to act toward others as if we have so fully forgiven their transgressions against us that we have forgotten them—also on the basis of Christ’s death on the cross. This and this alone is complete forgiveness of others, and it is truly a high spiritual ground indeed.